During a divorce proceeding, one of the most common questions asked involves whether alimony responsibilities will be required. Alimony law has evolved over the years and has moved away from being a financial reward to a “wronged” spouse to a necessary component of the separation process. If one party has a severe financial disparity in a divorce that occurs because of those proceedings, then alimony may become a consideration. For a free, no obligation consultation about your case, be sure to contact us today so we can talk about the possibilities of alimony in your case. Will You Get Alimony? Will You Be Required To Pay It? the amount of the alimony. 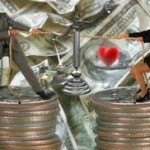 For alimony to be rewarded, the court must find that there is a spouse who will be at such a financial disadvantage because of the divorce that they will not have the means to care for themselves on their own. There must also be a determination that one of the parties in the divorce proceedings will have the means to support themselves and provide alimony payments. Unless both circumstances are present, the likelihood of alimony being rewards is usually quite low. Every situation, however, is unique. Why is Alimony Still Awarded In a Divorce Proceeding? In many ways, divorce in the State of Tennessee is similar to the dissolution of a business. Each partner, in the State’s eyes, has rights that must be represented and one of those rights is the chance to be successful. To protect your rights, your Clarksville attorney will fight for or represent your case against the need of an alimony award. Alimony in Tennessee can take four specific forms. It may be awarded to assist with schooling so that the disadvantaged spouse can find better employment. It may be awarded to level out a disparity of income levels between both parties. Awards are also possible to help ease the initial financial burdens of a divorce and can even take the form of payments to represent a property award. Sometimes alimony payments can be adjusted, but some are permanent and only terminate upon remarriage or death. 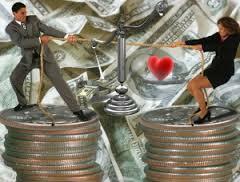 Are you concerned that alimony payments may apply in your case? Or maybe you’re concerned that you won’t receive alimony payments which you believe you deserve? Now is the time to contact us and set an appointment with one of our Clarksville divorce lawyers to begin protecting your legal rights. At Turner Law Offices, P.C., we offer a free initial consultation for all divorce clients. Request Free Initial Consultation Online or call our office to schedule your in person free initial consultation about your divorce proceedings.